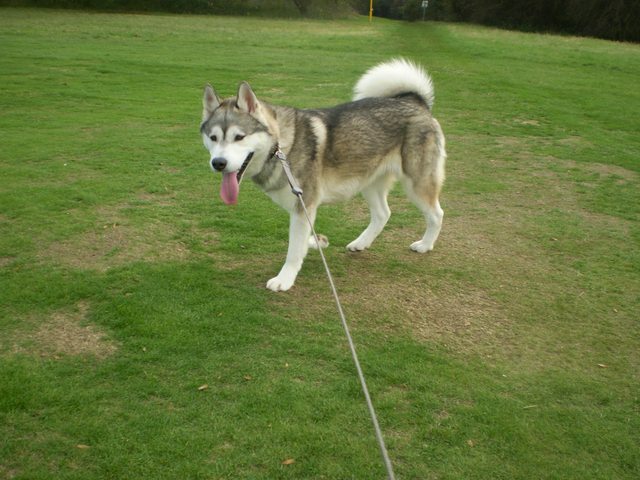 Benson is a 9 month old male Husky and has come into our care from a home. He hasn’t lived with children or cats. He is proving to be a nice friendly lad and as you can see he is stunning. 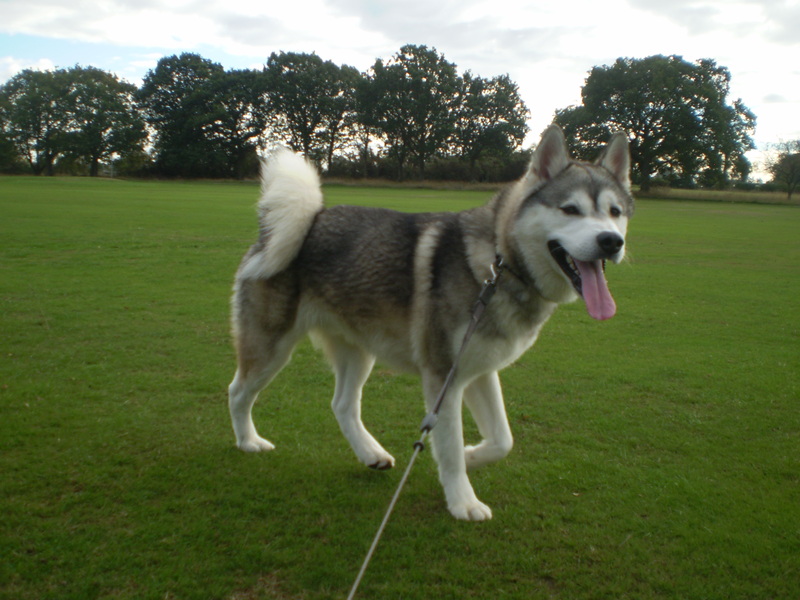 He is a strong boy and pulls a bit when he first gets out his kennel but calms down fairly quickly and loves to spend his time out sniffing and walking. Benson has had some training and will sit and give you his paw and takes treats nice and gently. 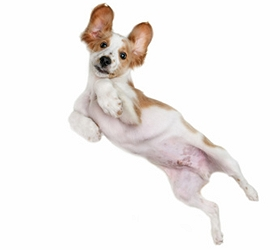 A bit of guidance from an experienced owner of the breed will benefit him and enforce things he already knows. We suggest that Benson could live with dog experienced older kids of teen age or above. Regarding cats, we don’t know whether he would be comfortable with them or not so we would have to address that if needs be. Benson is a great dog so if you want to express interest in him please fill in our inquiry form on our website.